On some streaming sites it's "You need to upgrade your Adobe Flash Player to watch this video," and on others it may be "You need to install the Adobe Flash plugin." Whatever it is, you have the same problem—Flash does not work on your Nexus 7. So what do you do? 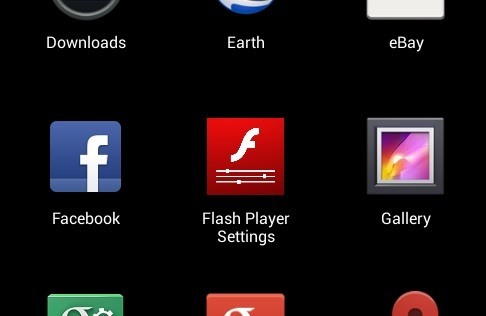 There's no Flash Player or Flash plugin in the Google Play Store anymore, so now what? Out of luck? NO WAY! Today, I'll show you how to manually install the latest Adobe Flash plugin for Android Jellly Bean on your Google Nexus 7 tablet and get streaming video sites to work again! You'll be able to play video straight from the YouTube desktop site, and any other Flash-based video sties, just like on your computer and enjoy the FULL WEB EXPERIENCE! 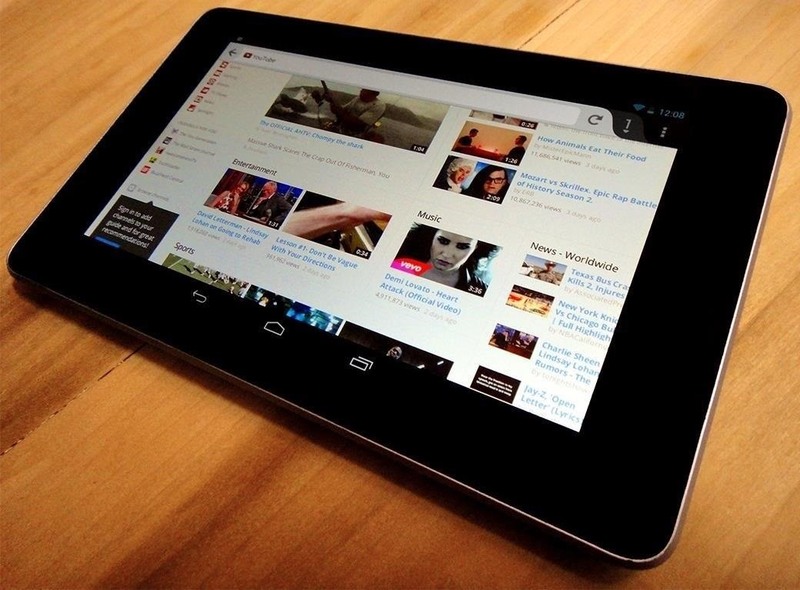 The new build of Android, version 4.4 KitKat, does not support any of the official Adobe Flash plugins, but you can still watch Flash Player videos using our guide on installing Flash Player on KitKat for the Nexus 7. If you're still on Jelly Bean for some reason, continue with the guide below. Just because the plugin is gone from the Play Store doesn't mean it's not on Adobe's own website. Unknown to many, Adobe still keeps the Android Flash plugin updated every once in a while—it's just hidden away on their website. Lucky for you, Adobe has an archive of all past versions. If you're using Android 3.0 (Honeycomb) or below, use this Flash Player. If you have 4.0 (Ice Cream Sandwich) up to 4.3 (Jelly Bean), use this Flash Player. Go ahead and use that link to download the APK file directly from your Nexus 7 tablet and install the plugin. These do not work with Android 4.4 (KitKat). Here's the plugin successfully installed on your tablet. If you can't install the APK file, make sure to enable unknown sources in Settings -> Security first. Flash support was removed from Chrome and the stock browser on Jelly Bean, so they won't work with the plugin. But, Firefox for Android still supports the Flash plugin. Now, it's as simple as loading YouTube or your favorite streaming video site with Firefox to begin watching Flash-based video! You might even be able to play a few Flash games. Now, tell us if it worked for you! Since Amazon won't release a Prime streaming app for android (except on their own kindle fire tablets), I've felt like my nexus 7 wasn't quite the iPad killer I was hoping for. Now with this, I can watch all those free Amazon Prime movies on my Nexus 7, and they run very well at full screen HD! Nice. Will this work for certain Facebook games, like, say... Bejeweled Blitz? Some versions of Bejeweled would work, but not the FB ones. The FB games are too flash heavy. It appears the Play Store has removed the Beta version. Go to the main menu > more > settings. Tap Plugins in the "Content" section. If you'd prefer it be disabled across the board (ex: to save battery), do the same, but tap "Disabled". Thanks for the fix Bryan! I picked Firefox because it's a well-known browser, but yes, that (and any other browser that supports plugins) will work too. Thanks for this tutorial, I thought it was very good. Unfortunately for me, when I tried this, it did not work with Firefox or other browsers such as xScope or Boat. I am running Android 4.2.2 and have tried various versions of Flash as well. Suggestions for next steps welcomed via PM or posted to this website. Thanks. I recommend uninstalling Flash and reinstalling. If you have Firefox, do the same. 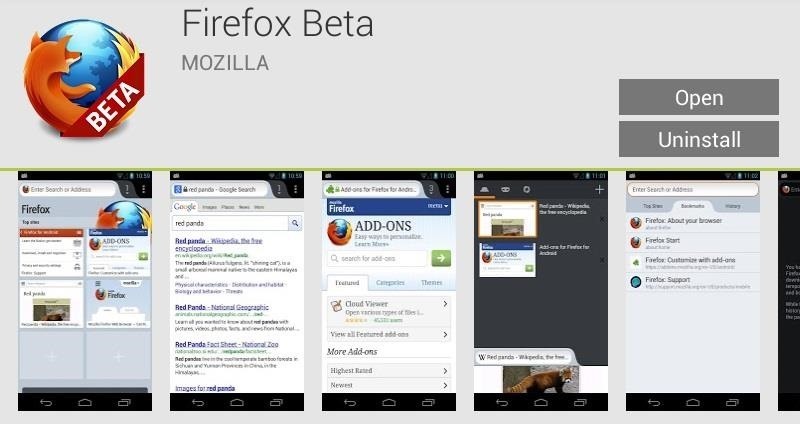 Go and reinstall Firefox Beta. Reboot and it should work. Just a note, not all flash sites will work, you are on a touchscreen, so YMMV. Danny, thanks for the quick response; I will try that and let you know what happens. Thankyou for this, I can now play games on my Nexus 7 through facebook, just can't play them in full screen mode. so basically if I want to watch video by using Nexus 7 I have to watch it by using Firefox not Google Chrome?!?! I did all this. even uninstalled and reinstalled again. still no luck! I just want to be able to use prime! Be sure you're using Firefox as your web browser (it won't work in Chrome). help! I've got the flash player app installed. the Firefox app and its still saying things like "a plugin is needed to play this content" normally it wouldn't be a big deal but î use this for school and I need to be able to watch breeze presentations if at all possible. any suggestions would be appreciated. Sorry to sound stupid, but being new to Nexus 7... when I click on your link to download, it asks where I want to install the program or save. Which one do I use, and if I save it, where do I want to save it so it will install on Nexus? hi Danny, it works, but can this instalation harm my tablet? I had to allow unknown sources and after instalation my screen started to e little bit out od control. after restart it is better. firefox seems to me little bit hard working for Nexus. It should be safe, it's just an old Flash player, since Adobe stopped developing it after Android ICS. If it continues acting wonky, just uninstall it like any other app and you should be fine. Absolutely brilliant!!!! Thank you so much I can now play Marvel: Avengers Alliance on Facebook :D This needs to be shared!!! This works great and you tube works fine but it will not play video from five on demand which states flash is still required! Is that just one of the sites which doesn't work or is there anything else I can do? I am trying to get my flash player working on my nexus 7. I followed the instructions above, but still get the same message I had before on the screen which reads. " an old version of the flash plugin was detected Please upgrade your flash plugin. " I have it updated to 11.1 now & see it in my apps as the picture shows above. One thing I cannot access though is the settings for flash. It goes to a website when I click on the icon, but then just sits there doing nothing. I did download dolphin browser, but get the same message. Need to get flash working on this thing, but no success so far. I think I wish I hadn't upgraded to KitKat. I don't know what it improved besides lots more emoticons, which greatly amuse my daughter in emails. But, I lost my Amazon Prime videos, in Fire Fox. Nice to have at night when my husband doesn't like the big tv on. How would I downgrade back to Jelly Bean, and is that better or should I just install Puffin? I'd say Puffin is at least worth a try before thinking about downgrading. It seems to work fairly well with the Nexus 5. Did all this, it won't work. I can use Firefox and install/ reinstall adobe flash all day long, it's no-go. I really like my nexus. But I like my amazon prime, too. How do I download my amazon movies on the nexus 2nd gen? Do I need to root? I shudder at the thought. Please help! Golly gee whiz little buddies, it's almost like you are being forced to use another service for your media needs; but what would it be? O.o OMG!! It worked! But is asking me to touch it for activate it and is kind of slow.. Is normal? Yay! This works!!! Thank you...Now I can watch all my work video trainings while at Starbucs!! You've got KitKat (4.4.2), so this method won't work for you, but you can try out Puffin or any other Flash-capable browser instead. Has anyone come up with a solution for 4.4.2, I did not see this post until after following everything. Puffin wants to work but stops before the vid content comes on so it will not display on Amazon. I can and have some flash function but not streaming vids and that is what I really wanted. Hopefully someone will help us with 4.4.2. Thanks that works for me, but - still having problem playing flash games. After I try to download file, it says it can harm your device???? Will this for 4.4.4? Is that KitKat or jellybean? Check out this guide for KitKat (yes, 4.4.4 is KitKat)—it showcases using the OnePlus One, but the process will be exactly the same for any KitKat device. ATTENTION!!!! Ok ,so you can do all that BS, or you could just install the App "Flashfox". All you have to do is install it, and BOOM! You got Flash Player.. That simple, I've used it on all my Tablets. From the low end tablet, Samsung Galaxy Tab, to my high end Tablet, Nexus 7. It does everything you come to expect from the real Adobe Flash Player..Download FlashFox 30.0.0 APK Free... Or at the Google Play Store, for $2.99 the "No Adds" version of the App.